Day 01: Arrive Kolkata, transfer to hotel & time at leisure. Day 03: On board the Cruise taking in the flora & fauna of this region. Day 04: On board the Cruise. Day 05: Disembark from cruise & fly Kolkata to Bagdogra & drive to Darjeeling. Day 06: Morning visit Tiger Hill. Afternoon, sightseeing in town. Day 07: Morning take a ride on the spectacular hill train. Day 09: Drive to Gangtok. Afternoon visit the Enchey Monastery. Day 10: Morning visit the Rumtek Monastery. Day 11: Drive to Kalimpong. Afternoon, local sightseeing. Day 12: Drive to Bagdogra to board your flight to Kolkata. Later, visit the famous Victoria memorial & other sights of interest . Kolkata India`s largest city is the capital of West Bengal and was founded by the remarkable English merchant trader Job Charnock in 1690. Darjeeling (about 100 kms from New Jalpaiguri) is at an elevation of 7000ft above the sea. The drive to Darjeeling is through interesting mountain country of brilliant red rhododendrons, charming white magnolias and majestic pines. The mountain slopes gently flow down in waves of green tea-bushes. The train of the Himalayan Railways carrying people can be seen chugging along the road side. 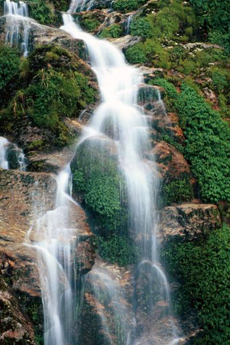 Gangtok (124 kms from Bagdogra) is the capital of the State of Sikkim. The city lies on a ridge overlooking the Ranipool River. The simple, ever-smiling hill people, colourful lamas, exotic monasteries and prayer flags fluttering in the wind combined with the scenic beauty of the Himalayan terrain provides a fascinating sight. Kalimpong is at an altitude of 1250 mts. It is a quiet resort town 50 km from Darjeeling, and has a population of 5000. Visit the Tibetan Monasteries which date back to 1836, the Blind school and the Durpin Dara Hill from where you have a panoramic view of the Himalayas.